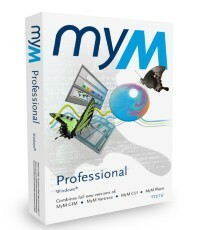 MyM is an integrated environment for the development, visualization and application of simulations of dynamic systems. 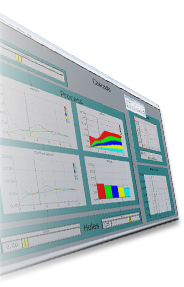 MyM comprises a mathematical formalism, a simulator that solves the equations and handles data management and a graphical interface to define input scenarios, to inspect model results and to document and present the model itself. Without the help of a programmer, large simulations with easy-to-use graphical interfaces can be built. You just have to write down the mathematical equations and you can build a graphical user interface yourself by just drawing graphs and charts on a canvas. When you are done designing, you can distribute your model with the graphical user interface as a tool to customers or colleagues. MyM is being used by an increasing number of teams of scientists to develop national and global models of public health and the environment, such as IVM and TARGETS. MyM is also succesfully used to build user interfaces for existing models such as IMAGE 2.1. The most recent models developed in MyM are: FAIR, IMAGE USS, Phoenix, Dimitri, Safe Landing Analysis for IMAGE, TARGETS. GISMO, MiASMA, and Timer.